Toss cauliflower with olive oil. Season with S & P, toss again. Roast at 500ºF for about 15 minutes or until slightly charred and tender. Check the cauliflower frequently and stir on the sheet tray to get even roasting. Remove cauliflower from oven, and place in a mixing bowl. 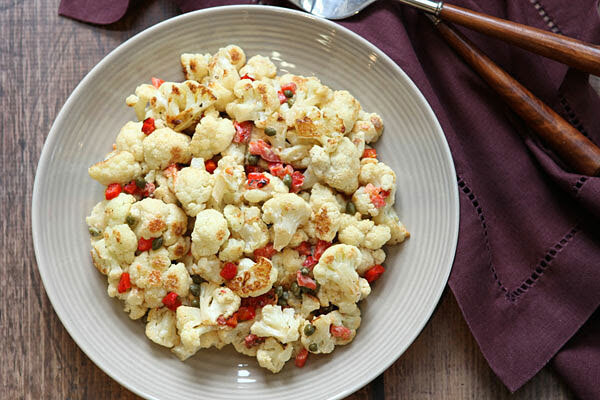 Toss with capers, red peppers and add enough tahini sauce to thoroughly coat the cauliflower. Season with salt and pepper to taste and serve. Great served hot or room temperature.